Some robust specimens of C. sparganioides with the lower spikes compound may seem to run here, but may be distinguished by their larger (ca. 3–4.1 mm), thin, ovate, narrowly winged, bright to light green perigynia; and usually by the absence of purplish dots on the ventral surface of the upper leaf sheaths. (In C. decomposita, the perigynia are smaller, biconvex-obovoid, and very dark green to brown at maturity; and the sheaths are dotted with purplish.) 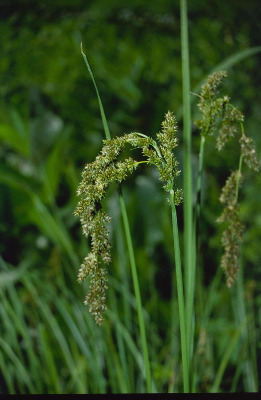 Furthermore, the anthers of C. sparganioides are often less than 1 mm long. MICHIGAN FLORA ONLINE. A. A. Reznicek, E. G. Voss, & B. S. Walters. February 2011. University of Michigan. Web. 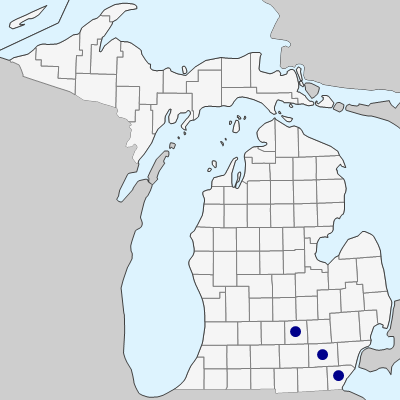 April 21, 2019. https://michiganflora.net/species.aspx?id=947.